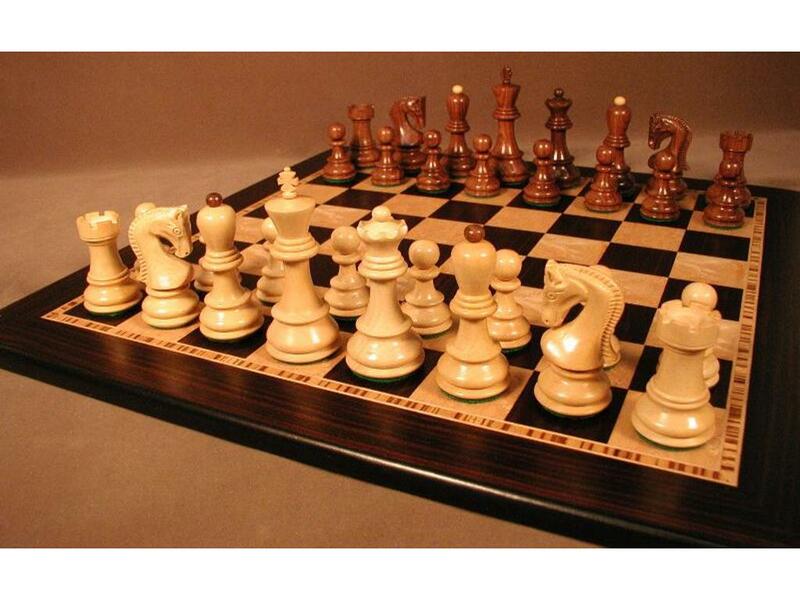 Chessmen: Old Russian, Sheesham, 3-3/4" King, double weighted, felted, made in India Chess Board: Ebony and Birdseye Maple board, made in Germany. Page P4290 Copyright © 1999-2019 GammonVillage Inc., USA. All rights reserved.